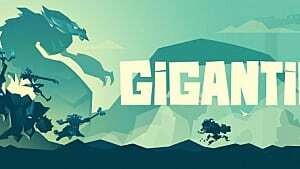 After a year of beta testing, the complete release of Gigantic is coming for free to Steam and Xbox One on July 20. This new MOBA will surprise many players with its unusual mechanics and a roster of powerful heroes. 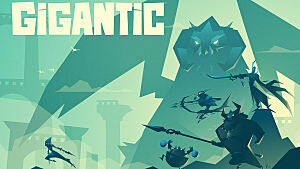 And even if you have a massive experience in the given genre, Gigantic will still provide you a decent challenge. It’s a hard game to master that offers a complete multiplayer team experience with the voice chat and command pings. The understanding of the match-ups will play a huge role in the competitive play, and the only way to get the advantage is to have more knowledge about the game than the other team. 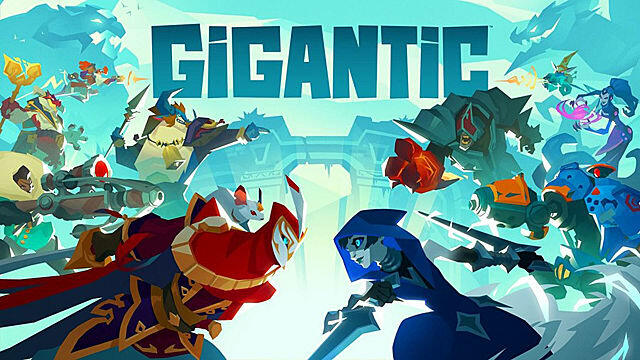 So keep on reading if you want to learn how to play Gigantic as effectively as possible! Two teams of five heroes play against each other on a map that hosts two guardians -- enormously powerful creatures that must fight each other to death. 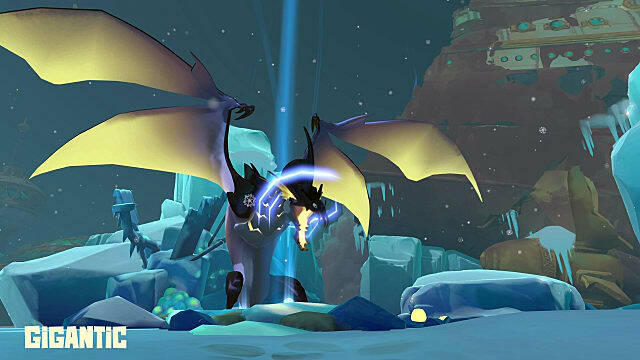 Each team must power up their guardian so that it can strike down the enemy guardian. Your team then needs to inflict three wounds to the enemy guardian in order to achieve victory. The first guardian that reaches 100 points of power has the advantage, so your job as a team is to know how to power up your guardian faster than the enemy’s team. Each of these four actions will bring the power gauge that much closer to 100 points. If you can do it faster than your enemies, then you will have a greater chance of winning. As soon as your power gauge gets full, your guardian will immediately chase the enemy guardian and capture it for you to inflict damage while it’s down. If you manage to remove all three health charges from the enemy guardian, your team wins. Timing and positioning are extremely important here. You will have about 15-20 seconds to finish off the enemy guardian -- and if you fail to do so, the other team will have the chance for a comeback. 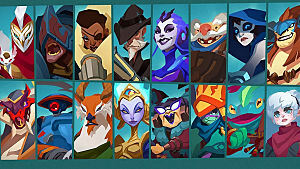 Currently, there are 18 heroes available in Gigantic. 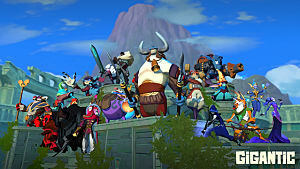 Just like in every other MOBA, characters have certain roles that have to be well-distributed in order to create an effective team of five players. Here you need to have at least one strong melee front-liner, a supporter, a healer, and a couple of ranged heroes or assassins. The best melee hero in the game is Lord Knossos, who is both highly mobile and strong. Beckett is a great ranged character. 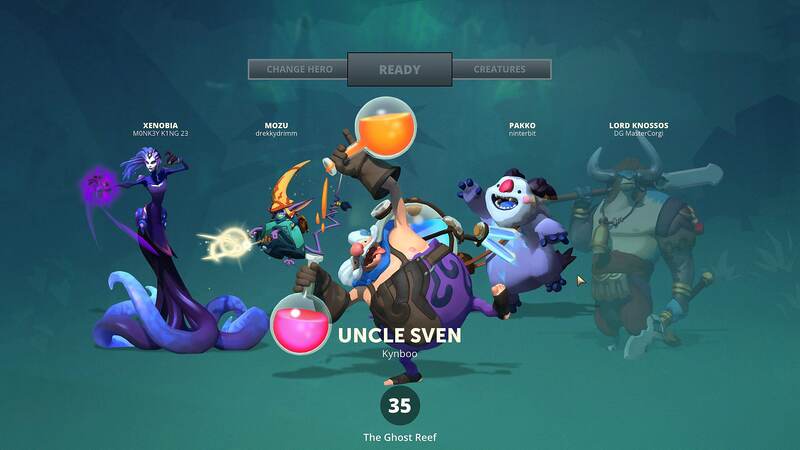 And if you want to add something spicy, then consider Uncle Sven, who can serve as your team’s main support. Of course, you can manage your roles the way you want it, and the way that's most fun for yourself and your friends. But always be aware that the enemy team will work really hard to put your guardian down, and they will use the best possible combinations of heroes they can get. One of the most important (and often neglected) types of character in any MOBA game is the healer. 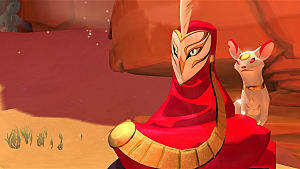 In Gigantic there aren’t that many great healers, but there is one you don’t want to miss -- Vadasi. This hero is really something, as she is not only capable of healing all of her allies, but she can do just as much damage to the enemies. 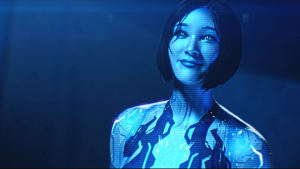 This means that she will not decrease the efficiency of your team by taking the slot of another typical damage character, but will actually make a difference. 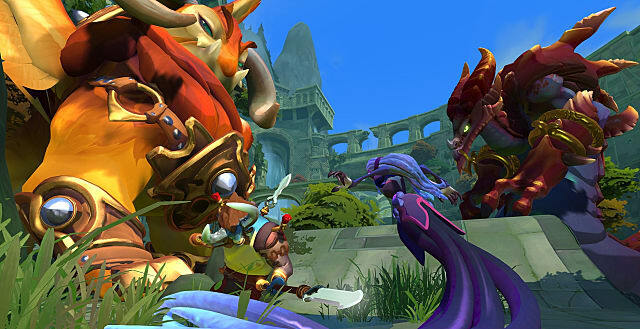 It’s really cool how Gigantic treats its heroes in a different way than other MOBAs. 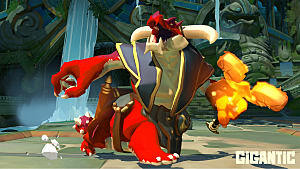 For example, The Margrave -- the game’s best tank -- is not your typical slow hero, but one that can both handle enormous amounts of damage and charge using his blazing shield as an attack mechanic. 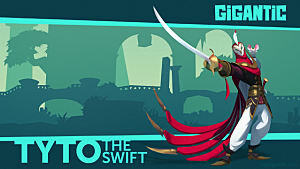 Speaking of charging and killing several enemies at once, consider Tyto the Swift – an assassin with a skill that literally lets him swoop through a group of enemies and slash them all down at once. Creatures are just as important for your victory as the heroes you choose for your team. You can summon creatures in certain places on the map and they will help you power up your guardian rather quickly. Bloomers look like trees and carry the function of healers. So in case you have no healer as a hero in your team, then consider this type of creature as a replacement. Cerberus is a hyena-like creature that sniffs out the enemies on the map and indicates them on the mini map. This type of creature is super useful for any team composition. Cyclops is a large beast that controls certain areas of the map and blocks the enemies from passing through them. Drake is a pure damage creature that can be used in close combat and for siege attacks. Obelisk is the only type of creature that can be summoned on the enemy territory for the sole purpose of protecting your power orbs from being captured. The two available guardians in Gigantic, one for each team, are controlled by an AI, just like the creatures you’ve summoned previously. Leiran the Griffin and Grenn the Naga are their names, and you must know how to inflict enough damage to each of them if you want to achieve victory in this game. As soon as your ally guardian reaches 100 power, it will rampage across the map and pin down the enemy guardian. Your team must be ready for the moment and get all of your damage power on one spot -- the guardian’s head. It will start glowing to let you know that this is where you need to shoot. If you manage to deal 24,000 damage at once -- the enemy guardian will be defeated, and your team will win. If you can’t, then the enemy guardian will be released, and you will have to start over again. What do you do when the enemy guardian is chasing your own guardian? Don’t stall -- protect it with the help of a shield! 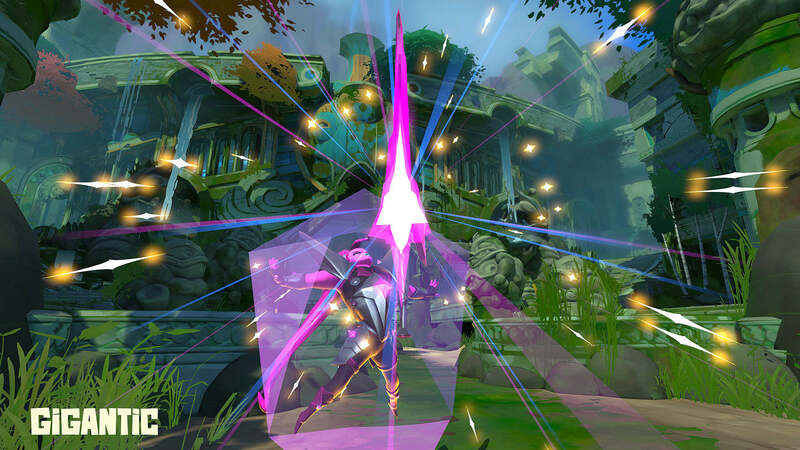 The opportunity to build the shield appears right at the moment when the enemy guardian begins the rampage. This should be enough for you to get the best out of your heroes, creatures and guardians in Gigantic. Make sure to choose one hero and practice with it as much as you can, and don’t forget to communicate during the match-up with your teammates for more efficiency. Come back soon for more Gigantic guides here at GameSkinny!